This 2013 Voltage V3800 toy hauler by Dutchman is a nice unit. 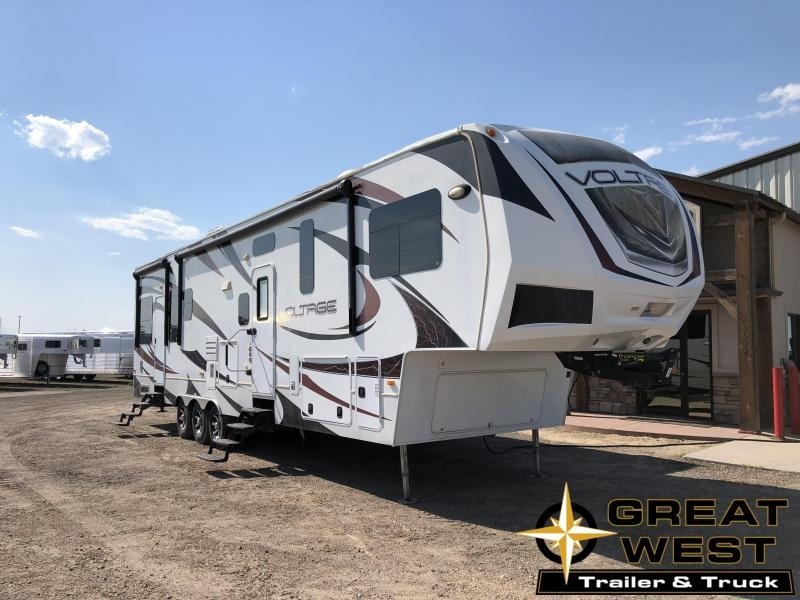 This toy hauler features a back porch option, Extra AC unit, Extreme cold package, Auto Leveling System and much more. With the ability to sleep 6 people comfortably, this would be great for a weekend camper!